By now, everyone has seen the video of the students from Covington Catholic High School allegedly surrounding and harassing Nathan Phillips, an elderly Native American man, on the steps of the Lincoln Memorial. Far fewer have seen the additional video footage exonerating the boys of the accusations that they surrounded Phillips (he approached them), verbally abused him (Phillips’ companions and members of the black supremacist Black Hebrew Israelites subjected the boys to racial abuse), and blocked his exit (Phillips eventually walked away without incident). Those interested in further parsing the interaction can watch the full video and read the statements of those involved. But the finer details of the interaction are not, ultimately, of great significance. The truly important lesson comes from the spread of the initial story, the reaction to it, and the lack of consequences for those who engineered and promoted it. Simply put, the Covington Affair is an unambiguous case of political propaganda in the guise of news. First, it demonstrates the methods by which activists and their friends in the media establish a narrative, propagate it, and hesitate to correct it. Second, it demonstrates how people desperate to be seen as reasonable unwittingly assist in amplifying misinformation. And third, most critically, it demonstrates why this kind of story will repeat until something changes. Sometimes, in news media, a story is “too good to check.” That is, it promises to illustrate an idea, a sense of how the world is, so beautifully and theatrically that the facts begin to seem extraneous. The reporter is captivated by the story’s dramatic quality and—just as importantly—knows that their audience will be as well. 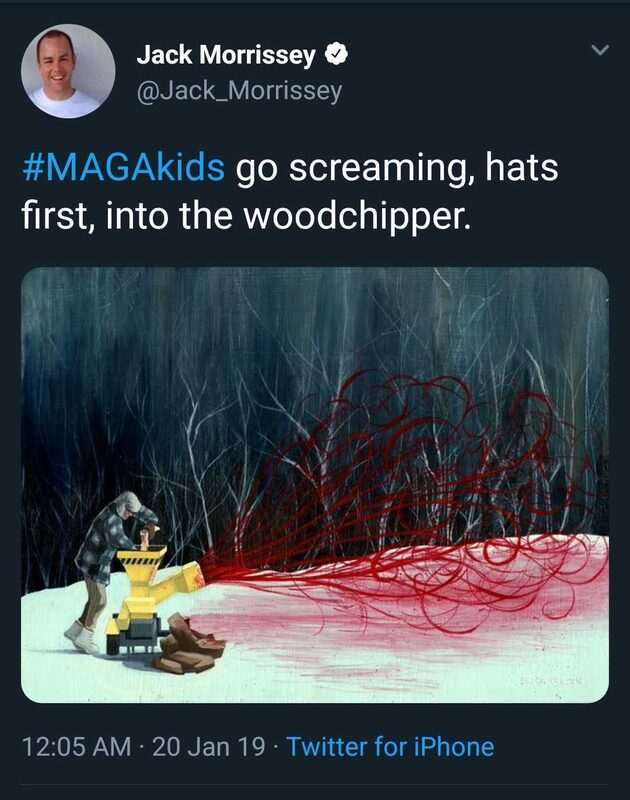 So, when video clips surfaced of a group of young white boys in “Make America Great Again” hats confronting an old Native American man holding only a traditional-looking drum, the imagery was too powerful to ignore. This was Colonialism, White Privilege, Trumpism, and the Toxic Masculinity that Gillette just warned us about rolled up into a single, cruel, captivating image. Could it get any better? The man they were abusing was a “Vietnam Times Veteran”, which CNN shortened to “Vietnam Veteran.” These boys attended an all-male Catholic high school and had participated in the March for Life. It was a racist mob of Brett Kavanaughs-to-be who had just finished demanding control of women’s bodily autonomy. And it happened in the very spot of Martin Luther King’s “I Have a Dream” speech on Martin Luther King Day Weekend. To understand why this story went viral in the way that it did, it is important to recognize the power that the image of the students and Phillips conveyed by association alone. Condemnations of the students routinely featured authors’ recounting of trauma in their own lives recalled by and projected onto the image. In at least one case, this prompted literal hallucination when Reza Aslan in an as of yet undeleted tweet sarcastically wrote “I guess all the kids in MAGA hats shouting ‘build that wall’ was just my imagination” which, in fact, it was. In addition to personal identification, observers connected with the image on an archetypal level. This impulse expressed itself in the reporting, which regularly mentioned Phillips’ status as an “elder.” The same media that less than a year ago embraced the youth of the Parkland students as vindicating their cause suddenly adverted to a Confucian ethic of filial piety. Respect for one’s elders as an ancient, quasi-religious imperative fit well within the mythological struggle between good and evil that the media initially cast the story as exemplifying. A good activist can identify when a scene will be too good to check, and Phillips is a veteran activist. The media, meanwhile, are in the business of storytelling. When the news media sacrifices its responsibility to facts in the service of narrative, it auctions its services to the most compelling activists. Identifying narratives, and responding with skepticism, is a necessary skill for a responsible media consumer. Perhaps more disheartening than even the reprehensible behavior of the news media was many conservatives’ near instantaneous assistance in demonizing or lecturing the Covington students. To be clear, conservatives should police each other when they have done clear wrong - that is a sign of strength, not weakness. But conservatives should also know better than to immediately accept such frail evidence, particularly when it is being used in the service of political activism. Only a day before the Covington students made the news, conservative commentator Ben Shapiro faced public outrage and lost advertisers after saying that he would not abort “baby Hitler” in an out-of-context clip from his speech at the March for Life. And yet, fresh from pushing back against that misrepresentation, many of the same voices eagerly joined the mob shaming the Covington students. Some of those doing so (who have since apologized) defended themselves by pointing out that the school and its diocese had issued a statement condemning their own students, which indeed they had. The expectation was that if those closest to the students had apologized, then they were aware of some wrongdoing to apologize for. As it turned out, no such inference was warranted. The condemnation was a desperate attempt to preserve the institutions’ reputations by scapegoating their own flock. These students were betrayed by every authority that should have had the faith to pause before casting judgement. Fear of the mob or the desire to appear virtuous in its eyes was enough to turn even those who have themselves been targets into thoughtless accusers. There is nothing reasonable about such credulity. This will happen again. Why? Because there is no reason for it not to. 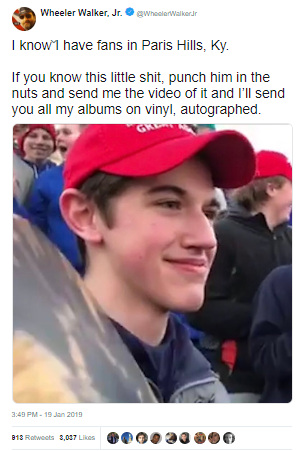 Barring a successful defamation suit by the Covington students, the news media will have lost nothing by running this story. Retractions and corrections are not engaging, even when publicized. And so far, they have come too slowly and too quietly. The Washington Post, for its part, has pivoted to attacking the Catholic Church for its history with Native Americans. Apologies have been scarce and begrudging. Twitter has, unsurprisingly, not taken action against public figures on the left who called for harassment of the students—yet another instance of politically selective enforcement of its terms of service. And Phillips, a liar about his military service and a person who had since led a mob to interrupt a Catholic mass, has faced little criticism for his apparent mischaracterization of the event. The fact is that nobody stands to lose by joining a left-wing mob. Our activist news media does not punish those who demonstrate a willingness to act as its shock troops. But, consider a world in which the full video did not exist, or did not become public. Consider the permanent damage—now only partially mitigated—that would have been done to these boys’ lives. It is only by good luck that this particular smear campaign did not succeed in fully destroying its targets’ reputations. No doubt similar narratives have succeeded many times before, and will again if not disincentivized. Beyond supporting the students’ defamation claims, the best way to fight back against this corrupt tendency in media is simply to be more aware of what one is consuming and demand that others be as well. Apologies are welcome from those who judged too soon, but they are meaningless if that does not translate into greater skepticism of media narratives in the future. For all the criticism they have gotten for their initial reaction, National Review’s response—pulling their initial piece on the topic and apologizing—is a positive gesture, and one that others should be encouraged to follow. Nevertheless, there’s an uncomfortable truth that the defenders of “civility”, “norms”, and “reasonableness” will ultimately have to grapple with: For our news media, incidents like these are not bugs - they’re the feature. Nothing short of that realization will be sufficient to produce real change. The Covington Affair should bring us one step closer.